Your skin undergoes so much damage daily. Exposure to the elements, rough treatment, and of course the effects of ageing. But, you can reverse those effects and look healthier, younger, and happier with anti-ageing cosmetic treatment for men at HE Clinic. HE Clinic is a specialist men’s health clinic in Bangkok that offers leading cosmetic care and anti-ageing skincare for men. Our surgeons and cosmetic care doctors and professionals are leaders in the field of men’s health. You can’t slow the ageing process. But you can control some of its effects with a little help from anti-ageing skincare treatments at HE Clinic in Bangkok. We offer all major anti-ageing treatments for men to help you look your best yet. Our anti-ageing skincare procedures are affordable, and the services performed by professionals with years of experience. Choose from any of our treatments below and schedule an appointment today. Botulinum (Botox) for Men: One of the more well-known skincare treatments, Botox for men reduces wrinkles and rejuvenates your skin for a healthier, younger-looking you. Mesotherapy Filler: An alternative to Botox, this is a semi-permanent and non-invasive treatment to reduce laugh lines, wrinkles, and thin skin in men to make you look years younger. Facial Filler (Hyaluronic Acid): Enjoy immediate results, get rid of those wrinkles or scars, and look younger with our hydraulic acid wrinkle filler treatment. Myers Vitamin/Mineral Booster IV Drip: Reduce fatigue and rejuvenate your body and skin with our IV therapy, a special mixture of minerals and vitamins. 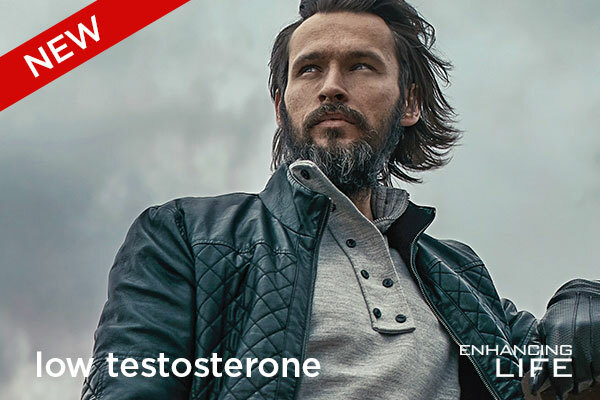 Low T Replacement Therapy: If your T level is low or you are experiencing andropause, then look and feel your best with replacement therapy. Blepharoplasty (Eyelid Surgery): Correct defects and ageing around and below the eyes and remove bagginess and excess skin with specialist eyelid surgery. Asian Rhinoplasty: Correct any injuries or imperfections with your nose with expert Asian Rhinoplasty, the premier facial cosmetic surgery for men in Thailand. Liposculpture: Get a more athletic and toned appearance with advanced cosmetic surgery that does more than just move body fat. Contour your body the right way with liposculpture. Coolsculpting: The leading non-surgical, fat-reduction treatment that uses a targeted fat-freezing procedure that gets rid of the body fat that diet and exercise can’t. Enjoy real results with expert cosmetic care from HE Clinic in Bangkok. Contact HE Clinic for Men in Bangkok and schedule your anti-aging appointment today.